It has become theatre and spectacle, the persistent small pox of the American legal system. The US President, coming to the podium, making the grand announcement about the ultimate closure of that great thorn in the side of American foreign policy: the detention facilities on Guantánamo Bay. Its facilities have made torture and incarceration inseparable twins about a flawed and ill-conceived “war on terror”. Others heavy with the need to capitalise the term have preferred “Global War on Terrorism,” an absurd designation that remains as incongruous as it is impossible. The point of such designations was its stress on emergency. In times of emergency, bits of land that were within, yet beyond the eagle eye of the US domestic legal system, could be utilised to deal with certain undesirable non-citizens. This result was occasioned largely by what Amy Kaplan sees as a historical product. The use of the facility against non-US subjects, its creation as “an ambiguous space both inside and outside legal systems” can only be understood as the outcome of the ghost of imperial history. Keeping the camp facility beyond the remit of US legal scrutiny was always the rationale of certain conservative legal voices like the late Justice Antonin Scalia. Since the Cuban territory, despite being under US control via a lease, is not “domestic,” protections otherwise guaranteed by US laws would simply not extend. To do so would suggest that US protections would spread to every country Washington’s military forces occupied, or claimed control over (Rasul v Bush). Worse still, those detainees might actually wish to come to the United States, perpetuating an unwanted contagion of legalism. According to the statement, US government strategy on the facility revolves around three fronts, all pursued “simultaneously”: the identifying of transfer opportunities for detainees slated for transfer; the continued review of the threat posed by those detainees not currently eligible for transfer and not facing military commission charges and the continued effort to prosecute those detainees “who remain designated for continued law of war detention, identifying individualized dispositions where available”. Reduced to the human details, the plan would see 35 of the 91 current inmates transferred to other countries in due course, with the remaining detainees, either facing trial by military commission or deemed too dangerous to be released despite facing no charges, transferred to a US facility. Up to 13 potential sites, which would be converted into detention facilities, have been identified. None of these suggestions can be remotely described as being in the spirit of fanfare or triumph, let alone certainty. Much concerning the detention facility has been a limping matter, given that Congress has made it legally impossible to close the camp with government funds. Laws also prevent detainees from being transferred to other countries, like Yemen, on security grounds. The White House has been repeatedly blocked by a Congress determined that legal exceptionalism be made the norm. Such matters were deemed “a complex piece of business” by Obama in a press conference, but they suggest something far deeper in the US legal culture. Paradoxically, this new form of detention creates its own radicalising incentive – uncharged, yet deemed too dangerous to be released is a unique combination for inmates to face. The category of exception when it comes to dealing with enemies, be they actual or otherwise, through a mechanism seemingly alien yet totally normalised in practice, is here to stay. 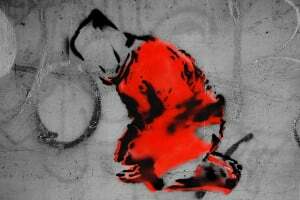 Whatever tends to happen in US courts, be they attempts to extend the reach of habeas corpus, Congress has returned with a rebuking bit of reversing legislation.